If you would like to view the event list in a calendar view, click on the link at the top right hand corner of this page. Storied past. Powerful present. Exhilarating future. Get ready to experience all three by joining us at the Cadillac V-Performance Car Corral during the Mid Ohio Sports Car Showdown. One (1) on-site parking pass to the Cadillac V-Performance Car Corral. Access limited to Cadillac vehicles only. Two (2) three day admission tickets to the Cadillac V-Performance Hospitality Deck with premium trackside views. Catered meals, snacks and beverages in the Cadillac V-Performance Hospitality Deck. 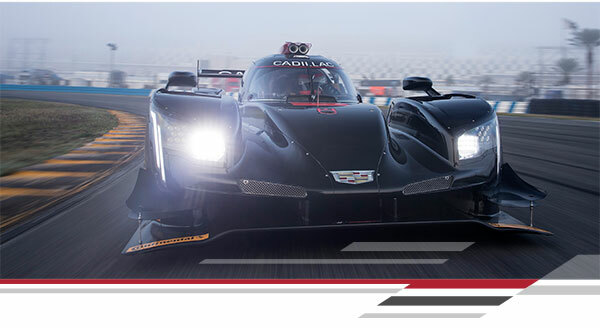 Exclusive team, driver and paddock access with the Cadillac Racing teams. Meet and greet opportunities with Cadillac executives and V-Performance engineers. *Participants are responsible for personal travel and lodging costs. This is an invitation only event. Offer valid through 5/1/2019 or while supplies last. Offer is non-refundable, non-transferable and non-redeemable for cash. Limit one per person. Approximate retail value $500. Storied past. Powerful present. Exhilarating future. Get ready to experience all three by joining us at the Cadillac V-Performance Car Corral during the Detroit Grand Prix at Belle Isle. Catered meals, snacks and beverages in the Cadillac V-Performance Hospitality Tent. Cadillac Corral lap on Sunday. Visit DetroitGP.com to purchase your race day package. Offer valid while space available. For more information visit DetroitGP.com/corrals or call 866-464-7749.